Today you’re researching proper scone making and tomorrow you’ll be brushing up on your Spanish vocabulary, but you’re not studying for a test in English Baking 101 or planning a trip to Chile. So, why then? Because you’re a knowledge junkie. You’re curious about anything and everything and never satisfied with what you already know. 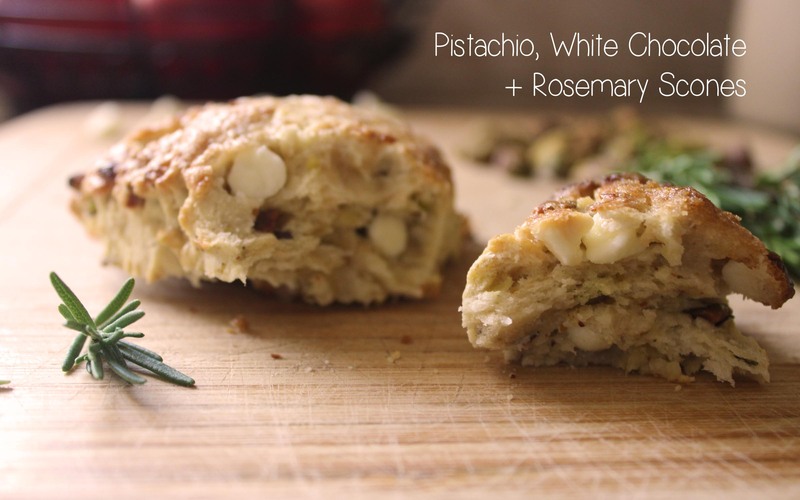 If this is you, then my inspiration for these Pistachio, White Chocolate & Rosemary Scones is for you. Not many things get me as excited as learning something new. Knowing this about me, a good friend recommended a book on quickly and effectively learning anything using cooking as an example. It was as if the author wrote it just for me. Months later, I’m still intrigued by The 4-Hour Chef. 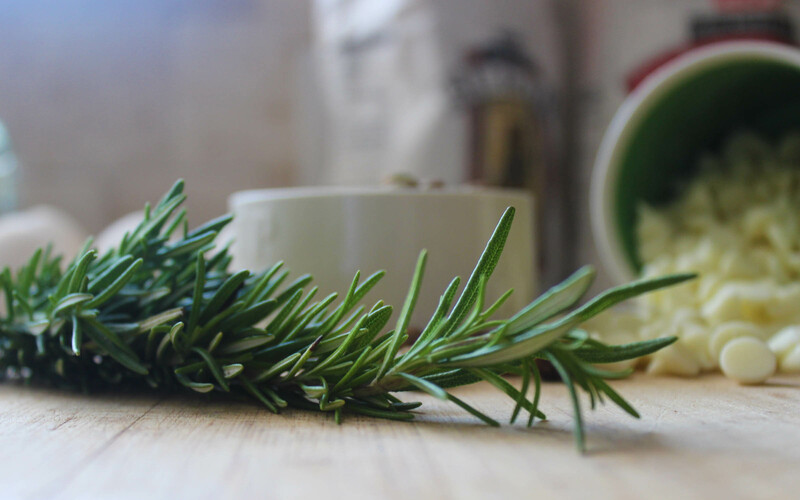 Each time I flip through it, I pick up new learning techniques and cooking concepts as well as some of the craziest recipes I’ve ever come across (think olive oil gummy bears with Thyme and Vanilla). Most recently, it was a cookie recipe that caught my attention. Not only did they sound enticing by the ingredient list alone, but they also happened to be national award-winning cookies. That’s all I needed to hear. 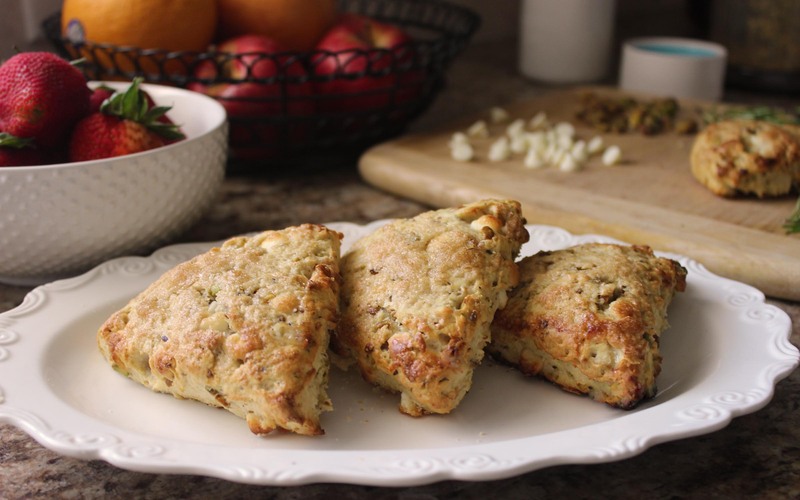 The next day, I incorporated the combination of pistachios, white chocolate and rosemary from the cookie recipe into my scones and when that intoxicating smell started to fill my kitchen, I knew I was on to something. . . TIP: If you’re feeling creative, keep in mind that this recipe can be used as the foundation for any scone. They’re amazingly simple so don’t hold back from trying a combination you’re afraid of. If they’re not exactly what you had hoped for-whip up another batch in a just a few minutes. Combine flour, salt, baking powder and 2 tbsp of sugar in a food processor (My Ninja worked perfectly). Pulse to combine. Add in chunks of butter and pulse again until mixture looks like cornmeal. Add egg and milk or cream just until mixture becomes a slightly sticky dough. The dough should stick to your hands. Lay dough out on a lightly floured surface and knead for 2-3 minutes. 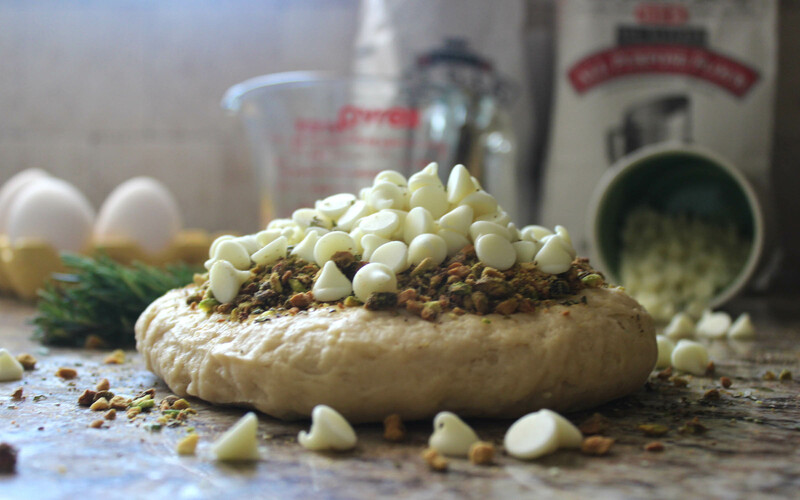 Shape dough into a ball and flatten into a circle about 3/4 of an inch deep. Divide circle into 6 triangle portions. Gently place triangles on a cookie sheet. Brush the top of each triangle with milk or cream and sprinkle with brown sugar. Bake for 9-10 minutes. Serve warm or at room temperature.